A Mind map is a visual representation of related and hierarchical ideas in map form. It can be offered at the end of a course, training module, etc. Learners identify and organize the knowledge taught upstream. It is necessary to have a session before and then after, rather than during the exercise. The Mind map collaborative is a trick that allows learners to check at the end of the course/training/module the understanding and knowledge of the concepts taught. It allows them to structure their thinking and to have a global and integrated vision of the courses they have been given. This trick involves the use of software dedicated to the creation of Mind map. The learner learns how to master it. The Mind map collaborative also promotes mutual aid and shows the power of collective intelligence. The collaborative Mind map allows the trainer/teacher to check the level of understanding of his teachings by the learners. Step 1: This is a preparation step in fact you have to choose and download a software to create Mind map. There are free online software available on the internet. 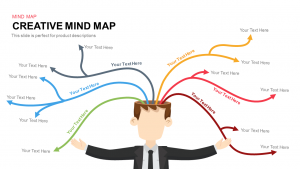 You must then create the Mind map by indicating the object of the Mind map, the title of the course/module/training for example. Step 2: At the end of the teaching, the teacher/trainer must explain the Mind Map principle to the learners and how it works. Then you have to give the instructions for the following TD: list and organize the course elements. Step 4: The aim of the TD is to review the Mind map with the learners, making modifications, additional explanations and missing elements if necessary. An alternative idea could be to propose to a larger group, in an amphitheatre for example, a controversial question with a justifiable thesis and antithesis. Learners are often confused. Some of them have never used a Mind map, they should not be blocked by the tool. You should therefore choose a tool that is easy to use and explain how to make a Mind map. Maybe do one in class earlier in the training?